Experience: 20 years of experience in mass appraisal and property tax administration. 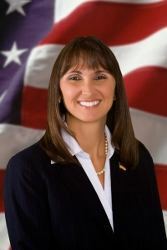 Former Director of Tax Roll & CAMA Systems for the Brevard County Property Appraiser. I am the former Director of Tax Roll & CAMA Systems for the Brevard County Property Appraiser's Office and have over twenty years of experience in mass appraisal and property tax administration. During my tenure in this profession and office, I worked in or directly with every department and possess an extensive comprehensive knowledge of every job function, requirements and methods of establishing value, statutory regulations for the production and submission of assessment and tax rolls, and the tenants of assessment administration. Hands on qualifications and experience in this office, and formal education in public policy provides me with the appropriate foundation for applying best practices in mass appraisal, utilizing the most up-to-date advanced technological systems, and insight to facilitate a reallocation of resources to areas in need for delivering uniform, equitable, and accurate assessment rolls. 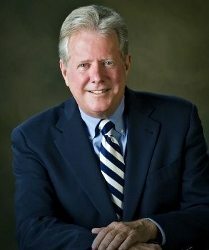 Unequaled value, optimized customer service, operational excellence, community awareness initiatives, and transparency are also key elements I will utilize to create a model constitutional office of public trust to the level Brevard residents expect, and all other jurisdictions look to for setting their standard. Along with the restoration of trust in the Property Appraiser’s office, the biggest challenge facing the newly elected Property Appraiser in 2013 will be the rectification of the lack of uniformity, equity, and accuracy of property values throughout Brevard County. The absence of a proper allocation of resources and no strategic plan have rendered assessment rolls that are non-commensurate with market trends. Producing assessment rolls that not only meet but exceed minimal standards requires the application of technical, operational, and administrative expertise throughout the organization and mass appraisal processes. Over twenty years of experience in mass appraisal, property tax administration, and fiscal management has prepared me for success in this challenge. Experience: I have served as Brevard County Property Appraiser for 24 years and hold the designation of Certified Florida Appraiser. Prior to that, I served in many highly responsible leadership positions in county government: Acting County Manager, Assistant County Manager and Planning and Zoning Director. I have managed many governmental operations having multi million dollar budgets and large numbers of personnel. I have 24 years of experience performing in this position. I have developed an efficient and effective operation and at the same time, reduced my office budget by 31% over the last six years. I believe that government has to cut spending just like everyone. I have advocated and accomplished many things by thinking and acting “outside the box” to protect Taxpayers. I championed the following initiatives: Save Our Homes, CAPIT tax cap, Truth In Taxation and two other county charter amendments. I fought to make Save Our Homes Portable and to eliminate the Save Our Homes “recapture” rule. I have maintained a state of the art website which provides a vast amount of information and transparency to the public. The reason you elect your property appraiser is because you expect that person to be your advocate and go beyond the scope of the job, when necessary, to protect your interest. That is what I have done for 24 years and will continue to do. I believe in the independence of the property appraiser’s office from taxing authorities that set tax rates. That is an important check and balance that protects taxpayers from over taxation. My office maintains fair accurate and conservative valuations on property to help protect you from over taxation. I have maintained a level of assessment 8 -10% below some of the higher assessed counties. Also, I have produced 24 annual assessment rolls that represent fair and equitable property valuation that are in compliance with the standards of law. I have authored a “White Paper” that explains the problems and fixes for Florida’s property tax system, which can be found at KEEPFORD.COM. It is a blueprint for the legislature to improve the system and explain the reason why the current system is confusing and complex. As a Brevard County businessman specializing in real property issues, I have worked closely with individuals, businesses and all stakeholders in property tax issues. I know the importance of administering a fair and equitable property tax system. I have been a vetted appointee of three governors to the Florida Division of Real Estate, and have learned first-hand of the importance of good policy over politics. 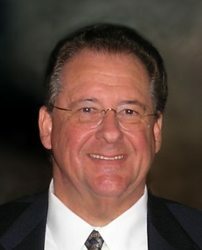 I have served the Brevard Community in the Florida House of Representatives and as the Chairman of the Brevard Republican Party, and worked with county lawmakers on many issues, and have learned the value of working with legislators to pursue positive changes in how real property is taxed. With more than 35 years of professional experience in property issues, I have served as an expert in property court cases, and have seen the effects of tax issues on property owners. As our economy has tightened, our neighbors and friends continue to face myriad challenges to their quality of life. Brevard needs an experienced professional with a demonstrable expertise in property issues, a fundamental understanding of the legislative process by which relief can be sought, and a commitment to the individual property rights of every citizen to lead our Property Appraiser’s Office. Real leadership begins with understanding the community one serves, and that is why I have pledged to cut my pay by 10 percent beginning at day one on the job. I have spent my life gaining the experience and knowledge need to serve my community, and stand ready to put all that I have learned to work. I stand with Brevard, and I hope that Brevard will stand with Steele.